I have a D262 engine total rebuilt and the sleeves was in the correct hight, but after some years the sleeves star to sink again. I believe the flanges are worn out. The engine hade cost me a lot of money, sadly. lot af new parts are wasted. Now i have find a Buda 273 with one broken piston and the cylinder head is broken. The Buda 273 Engine block seems to be the same block as the D262 except the sleeves. my plan is to press dry sleeves in the Buda engine with the same bore as the D262 and move over crank, pistons and all other parts. But my question is ,do the crank fit ? will the rods and pistons have the ringt lenght to the top of the engine block ? The clearance must be right. I've never seen or worked on a 273 Buda. I am going to guess the block deck heights are the same or very close to the same. I am also pretty sure the crankshaft will swap just fine too. If the main bearing kit is the same between the two engines, for sure the crank will fit. A good machine shop here in the USA could look up the crankshaft centerline to deck dimension easily and then compare it to the Buda. I've heard of the 262 crank being installed in a 273 for more cubic inches, so I'm sure it's been done before. The Buda 273s are cast in block cylinders, not wet sleeve. You may be able to do it with a 230 block. Also, Buda sleeves have the seal ring on the sleeve, ACs have the seals in the block. Don't let anyone tell you they're the same. Some parts are, but not all. 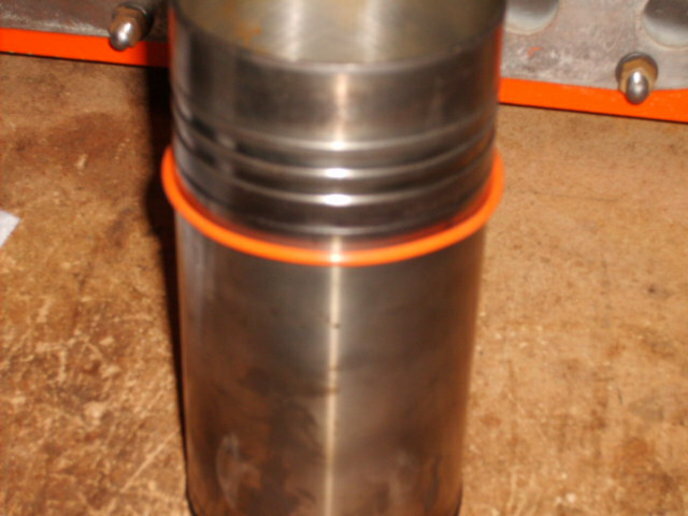 Just finished rebuilding a 230, picture of a Buda sleeve and what the parts supplier said was the right one. Is it the same as your AC? My 273 engine have no sleeves at all. 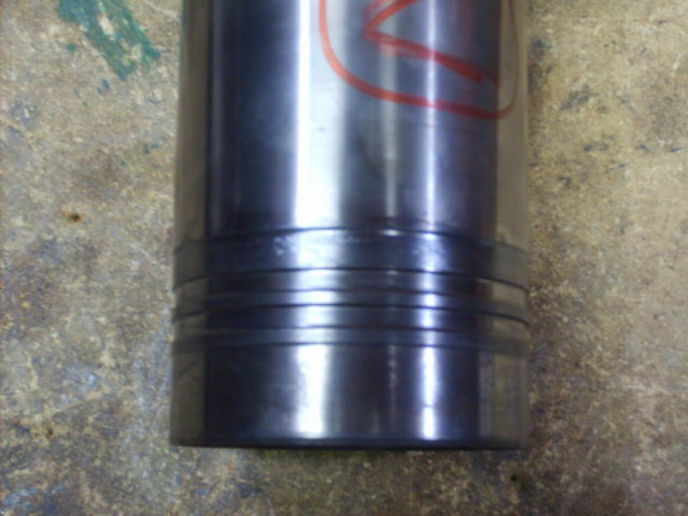 What im looking for is, let the work shop to press in dry sleeves in the 273 to narrow the bore. Maybe i have solve the sinking sleeve problem and can use all the new parts from the 262 engine on the 273. It vill be a "buda d262"
are the same, d262 and d273. One problem where are you going to mount a water pump since the 273 has the water pump on the head? You can actually bore in and mount a 262 water pump on a 273 but you'll need a good machine shop to do it. The sleeve idea may work. The 262 is 4.375 stroke, 230/273 Budas were 4.125. You may have a clearance problem. I didn't think of that, TF. I'm intimate with Budas but not ACs. My D262 is an early type who have the waterpump at the head, the only differce I can see between the cylinderheads are the size of the valves. 273 have bigger. Yes mybe, that is what I are afraid for. I will swap also crank, rods and pistons. If the distance between crankcenter and top deck are the same, it would be perfect.